Replacing windows and doors is an excellent way to improve the look and feel of your building, and increase your property value at the same time. 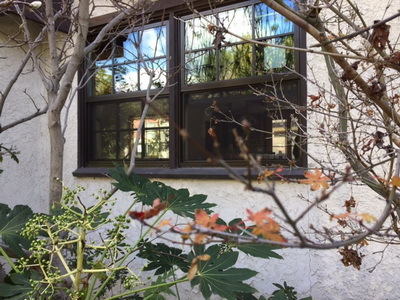 If you need Windows Replacement in Pasadena, you’ve come to the right place. We take care of all your window and doors needs providing you with the highest quality hardware and installation services. We have been highly recommended by our clients for a number of years due to our dedication to provide the best quality windows and door renovation project. Our clients rave about our excellent quality Milgard Windows that stand the test of time. They also love working with our friendly and experienced staff who are always courteous and punctual. At Intex, we make it our goal to keep our promises to keep projects on time and on budget. You will enjoy working with our qualified staff who will assist you through every step of the renovation project. Give our office a call today to schedule your no cost, no obligation appointment when we can learn more about your needs in your renovation project. Let us offer our years of experience to give life to the window replacement project of your dreams! Are you ready to transform your space with new windows? We are the number one company offering Windows Replacement in San Marino and surrounding areas. If you are considering Window Replacement in Pasadena or a nearby location, remember that we provide window and door installation for both residential and commercial buildings. Our team is uniquely trained to design and implement windows and doors renovation projects for any type of building. We are proud of our expert team’s accomplishments in dozens of successful projects resulting in hundreds of satisfied customers over the years. Trust our team of window and door replacements experts for your next renovation project. We promise you will not be disappointed! If you are on the fence about replacing your windows, here are a few facts to consider. Do you have windows that are more than 10 years old? Do they show signs of aging of leakiness? Do you have any broken or cracked panes that could be a potential safety hazard? Do your windows lack technology to improve your building’s energy efficiency? If you have answered yes to any of these questions, then you are an excellent candidate for window replacement. Your current windows may be costing you hundreds extra per year in energy costs, and old, leaky, or broken windows can cause a safety hazard from further breakage or even make your building vulnerable to break-ins. Brand new stylish windows add to the overall atmosphere of your space and elevate the entire building. Not only will they improve the quality of life and mood of its inhabitants, but new windows also increase your property value. Our high quality windows will add to the beauty of your building for sure and their style can be matched to your existing architecture style. Stylish windows make a lasting impression and are often noticed as soon as guests walk into the room. Bring the outdoor beauty in with natural light and improved ventilation. You will love and appreciate your new windows so much you will wonder why you didn’t get them installed sooner. Our expert design and installation staff pay attention to every detail and try our best to serve all your unique needs. Your finished window renovation project will leave your property more beautiful and functional than ever. Give our office a call now to get started on your window replacement journey with us!